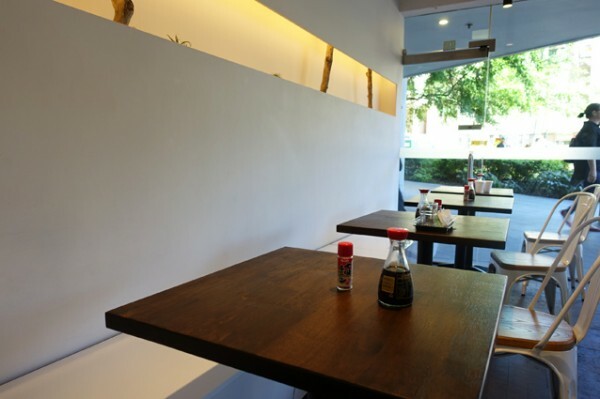 Review - Sushi Bar Surry Hills - Does My Bomb Look Big In This? 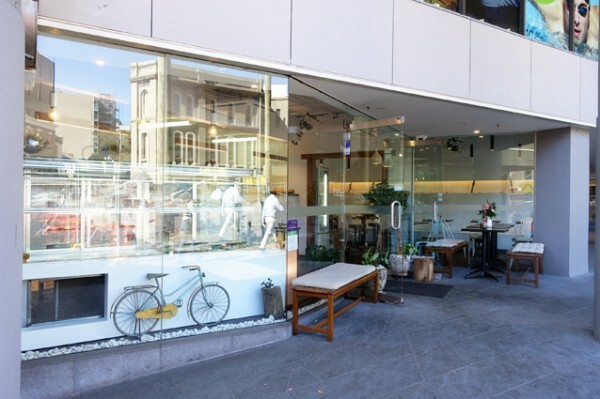 A recent renovation brought Sushi Bar Surry Hills back into my field of attention. 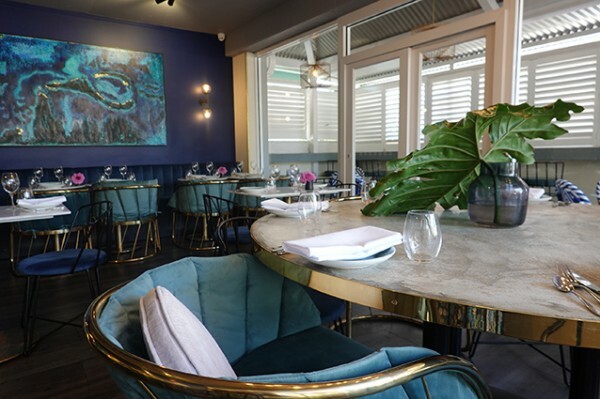 The once poky little space has been opened out with white paint, and a stylish lit inset wall space filled with plants and other organic materials, that runs along a white banquette. 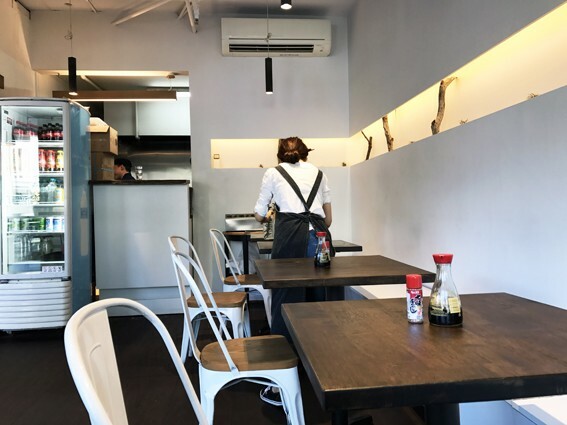 Despite being someone who turns their nose up at hot food sweating away under heat lamps inside plastic bento boxes, and a bit of a stickler for freshly made sushi rolls, I was keen to give this lighter, brighter, space a second chance. My first attempt to revisit started badly. I popped in at 11.52am on the way into work for a late start. They told me I had to come back after noon for something freshly made. 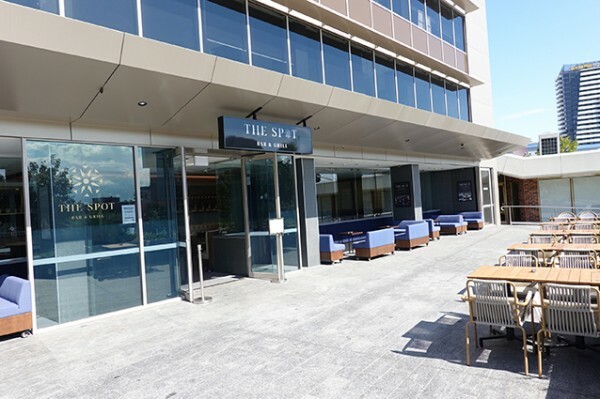 I finally got a lunch break at 2.08pm and when I returned, they said I was too late. Taking on board that the only chance to get freshly made food here is between the hours of noon and two precisely, I gave them a third shot the very next day. 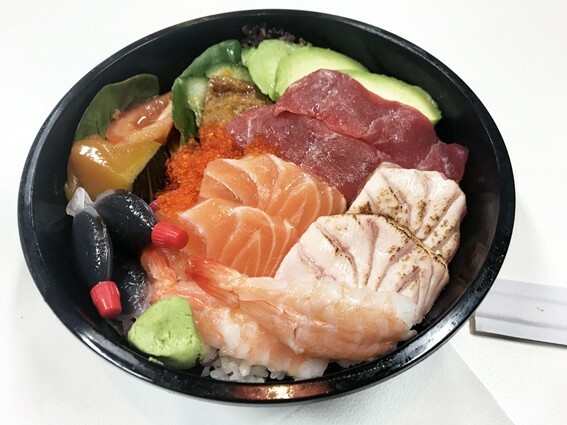 Chirashi sushi - just in case you're wondering - is 'scattered' sushi; a bowl of sushi rice with a mixed array of typical sushi ingredients. 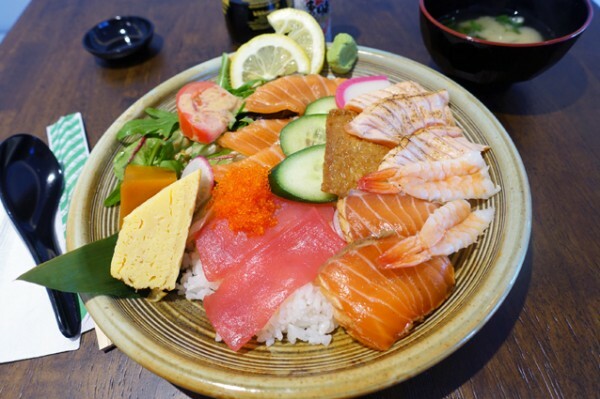 You eat it by taking little pieces of fish and dipping them in soy with a smear of wasabi, then alternating with mouthfuls of rice or salad. 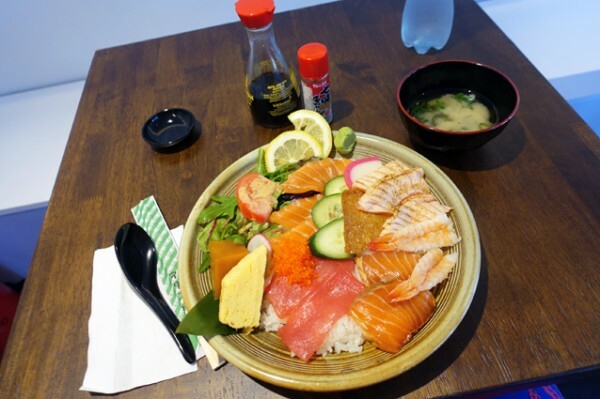 At Sushi Bar Surry Hills, the Chirashi Sushi ($14.80) is well-presented with a generous array of toppings. It's perfectly fine takeaway if you're eating al-desko, but of course it's better if you can spare the time to eat it in the restaurant. 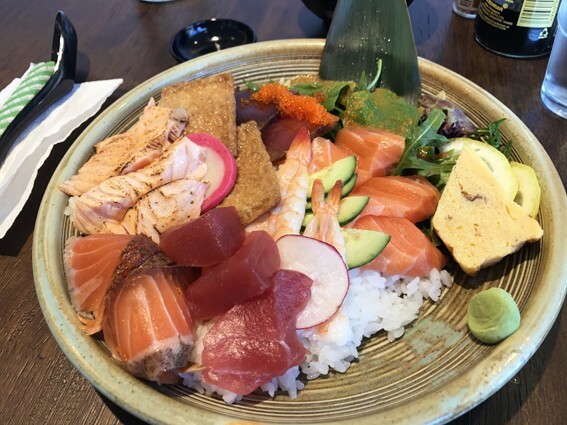 You'll find salmon - both raw, seared and marinated - cooked prawns, raw tuna, orange tobiko (roe), inari (sweet fried tofu pockets), egg, cooked pumpkin and nicely dressed salad adorning a fair-sized portion of sushi rice. 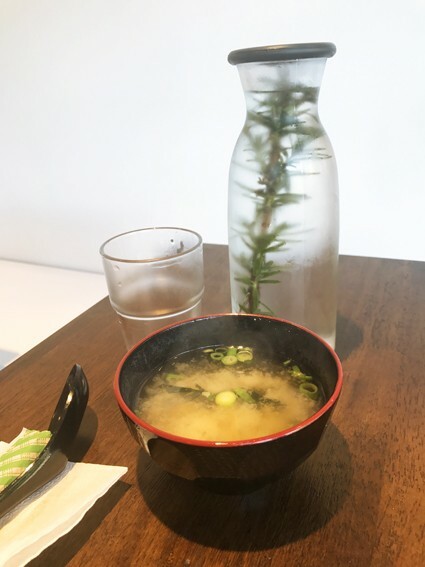 Guests who eat in this tiny restaurant are also offered water and bowls of miso soup included in the quite reasonable price.